Houston, TX (May 3, 2017) — Art League Houston proudly announces the selections of Trenton Doyle Hancock as the 2017 Texas Artist of the Year and Lynn Goode as the 2017 Texas Patron of the Year. Each year, Art League Houston pays tribute to those whose work or patronage has had a significant and positive impact on contemporary visual art in Texas. In 1983, Art League Houston created the Texas Artist of the Year award as a dynamic annual project documenting Texas art history. Art League Houston was the first organization in the state to develop such an award. To date, thirty-one artists have been honored. Past recipients include Terrell James (2016), Amy Blakemore (2015), Havel Ruck Project (2014), Rachel Hecker (2013), Aaron Parazette (2012), Mary McCleary (2011), Joseph Havel (2010), Keith Carter (2009), Melissa Miller (2008), Al Souza (2006), The Art Guys (2005), Luis Jiménez (1998), James Surls (1991), Bert L. Long, Jr. (1990), Jesús Moroles (1989), Dr. John Biggers (1988), and Dorothy Hood (1984), among others. In 1989, Art League Houston expanded the award to include patrons with its Texas Patron of the Year award for extraordinary individuals whose efforts have helped advance the work of Texas artists. To date, twenty patrons have been honored. Past honorees include Poppi Georges Massey (2016), Annise Parker, Mayor of Houston (2015), Stephanie Smither (2014), Leigh and Reggie Smith (2013), Judy and Scott Nyquist (2012), Victoria and Marshal Lightman (2011), Leslie and Brad Bucher (2010), Anne and James Harithas (2008), Gus Kopriva (2007), and Clint Willour (2006), among others. As the 2017 Texas Artist of the Year, Art League Houston will present "TEXAS: 1997-2017" by Trenton Doyle Hancock, an exhibition of more than fifty works by the artist that span over two decades of his prolific career. Drawn from the years that Hancock has lived and worked in Texas, and selected by the artist himself, the works will survey one of the most diverse, surreal and imaginative artistic practices of our time. The exhibition opens Friday, September 29, 2017 with a reception from 6 to 9 PM, and will remain on view through November 17, 2017. Both awardees will be celebrated at the organization’s annual gala, which will be held in their honor on Friday, October 13, 2017. For ticket and table purchase information please click here. PLEASE NOTE: The Art League building sustained some significant roof damage in the main offices and gallery due to Hurricane Harvey. As a result, the 2017 Texas Artist of the Year exhibition Trenton Doyle Hancock: Texas: 1997-2017 has relocated to Rice University and is currently on view at the Rice Gallery space, 6100 Main St, Houston, TX 77005. For almost two and a half decades, Trenton Doyle Hancock has been constructing his own surreally beautiful and fantastical narrative that continues to develop and inform his prolific artistic output. Part fictional, part autobiographical, Hancock’s work pulls from his own personal experience, art historical canon, comics and superheroes, pulp fiction, and myriad pop culture references, resulting in a complex amalgamation of characters and plots possessing universal concepts of light and dark, good and evil, and all the gray in between. At the center of Hancock’s storytelling is an imaginative and epic narrative about fictional creatures called The Mounds, which populate his fantastical landscape. Half-animal and half-plant, these mythical meat-eating creatures symbolize the earth. They are "a pin cushion for all of humanity and we take all of our troubles and we place it onto this beast,” says the artist. The Mounds are often hunted and tortured by the color-blind "vegans," who are goblin-like creatures that live under the earth. Another re-occurring character includes the unheroic super hero Torpedo Boy, an alter ego that Hancock created as a child. Torpedo Boy has super human strength and tries to protect the Mounds, but his human emotions, particularly his pride, prevent him from performing his heroic duties. Additional characters that appear in the work alongside him include Junior Mound, Bringback, Baby Curt, and Shy Jerry. Hancock transforms traditionally formal decisions—such as his use of color, language, and pattern—into opportunities to create new characters, develop sub-plots, and convey symbolic meaning. Hancock’s works are suffused with personal mythology presented at an operatic scale, often reinterpreting Biblical stories that the artist learned as a child from his family and local church community. His exuberant and subversive narratives employ a variety of cultural tropes, ranging in tone from comic-strip superhero battles to medieval morality plays and influenced in style by Hieronymus Bosch, Max Ernst, Henry Darger, Philip Guston, and R. Crumb. 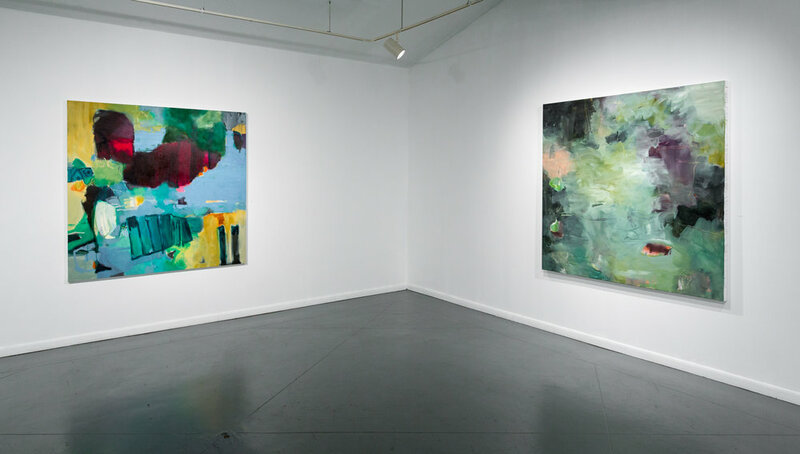 The text embedded within the paintings and drawings both drives the narrative and acts as a central visual component. The resulting sprawling installations spill onto beyond the canvas edges and onto gallery walls. As a whole, Hancock’s highly developed cast of characters act out a complex mythological battle, creating an elaborate cosmology that embodies his unique aesthetic ideals, musings on color, language, emotions and ultimately, good versus evil. Hancock’s mythology has also been translated through performance, even onto the stage in an original ballet, Cult of Color: Call to Color, commissioned by Ballet Austin (2008, 2013), and through site-specific murals for the Welcome Center at the University of Houston, TX (2015), Houston Children’s Hospital, TX (2011), Olympic Sculpture Park, Seattle Art Museum, Seattle, WA (2010), Dallas Cowboys Stadium in Dallas, TX (2009), and a permanent multimedia installation as part of the centennial celebrations at Hermann Park in Houston, TX (2012). Hancock was featured in the 2000 and 2002 Whitney Biennial exhibitions, at the time, becoming one of the youngest artists in history to participate in this prestigious survey. In 2014, his exhibition, Skin & Bones: 20 Years of Drawing, at the Contemporary Arts Museum in Houston traveled to Akron Art Museum, OH; Studio Museum in Harlem, NY; and Virginia Museum of Contemporary Art, VA. His work has been the subject of one-person exhibitions at The Public Trust, Dallas TX (2016), The Ringling Museum of Art, Sarasota (2015), Museum of Contemporary Art, Indianapolis, IN (2014), Columbus School of Art and Design, Columbus, OH (2013), Sheldon Museum of Art, Lincoln, NE (2011), The University of South Florida Contemporary Art Museum, Tampa (2010), The Savannah College of Art and Design, Savannah and Atlanta (2010), The Weatherspoon Museum, Greensboro (2010), Olympic Sculpture Park, Seattle Art Museum, Seattle (2010), Institute for Contemporary Art at the University of Pennsylvania, Philadelphia, PA (2008), The Fruitmarket Gallery, Edinburgh (2007); and Museum Boijmans Van Beuningen, Rotterdam, The Netherlands (2007), Cleveland Museum of Art, Cleveland, OH (2003), to Museum of Contemporary Art, North Miami, FL (2003), Contemporary Art Museum, Houston, TX (2001) and The Modern Art Museum of Fort Worth (2001). Hancock’s work is represented in museums and private collections worldwide, including: Baltimore Museum of Art, Baltimore, MD, Brooklyn Museum of Art, Brooklyn, NY, California College of Arts, San Francisco, CA, Columbus Museum of Art, Columbus, OH, The Contemporary Museum, Honolulu, HI, The Cooper-Hewitt National Design Museum, New York, NY, Dallas Museum of Art, Dallas, TX, Eileen Harris Norton, Santa Monica, CA, High Museum of Art, Atlanta, GA, Hudson Valley Center for Contemporary Art, Peekskill, NY, Jones Teams Sports, Dallas Cowboys Stadium, Dallas, TX, Kemper Museum of Contemporary Art, Kansas City, MO, Modern Art Museum of Forth Worth, Fort Worth, TX, Museo d'Arte Moderna e Contemporanea, Trento, Italy, Museum Boijmans Van Beuningen, Rotterdam, The Netherlands, Museum of Art, Rhode Island School of Design, Providence, RI, Museum of Fine Arts, Houston, TX, The Museum of Modern Art, NY, New Orleans Museum of Art, New Orleans, LA, New York Public Library, New York, NY, San Francisco Museum of Modern Art, San Francisco, CA, Sheldon Museum of Art, Lincoln, NB, Smith College Museum of Art, Northampton, MA, The Studio Museum in Harlem, New York, NY, University of Texas at Austin Jack S. Blanton Museum of Art, Austin, TX, Virginia Museum of Fine Arts, Richmond, VA, Warhol Museum, Pittsburgh, PA, Wexner Center for the Arts at the Ohio State University, Columbus, OH, The Whitney Museum of American Art, New York, NY, Wichita State University, Ulrich Museum of Art, Wichita, KS, The Victoria and Albert Museum, London, United Kingdom. 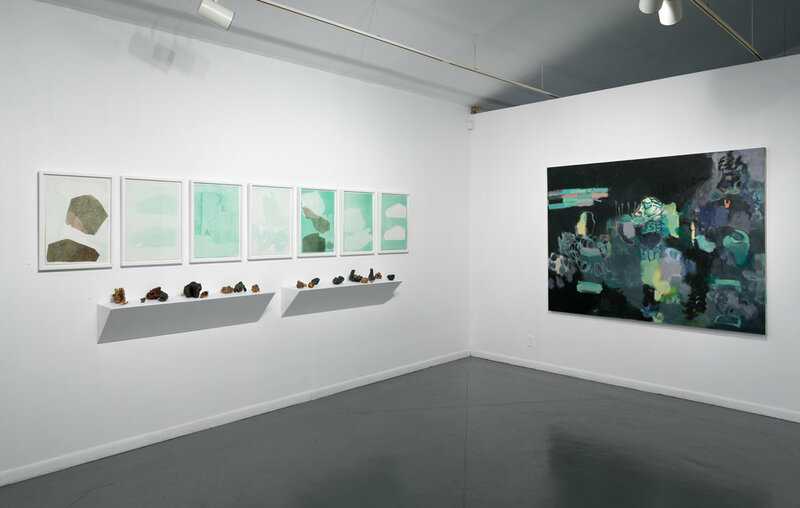 Hancock’s work has also been included in a number of significant group exhibitions, including Juxtapoz x Superflat, curated by Takashi Murakami and Evan Pricco, Pivot Art + Culture, Seattle, WA (2016-17), Statements: African American Art from the Museum’s Collection, Museum of Fine Art, Houston, TX (2016), When the Stars Begin to Fall: Imagination and the American South, The Studio Museum in Harlem, New York, NY (2014), Radical Presence: Black Performance in Contemporary Art, Contemporary Arts Museum Houston, Houston, TX (2012), The Best of Times, The Worst of Times: Rebirth and Apocalypse in Contemporary Art, Kiev International Biennale of Contemporary Art, Armory, Kiev, Ukraine (2012), Wunderkammer: A Century of Curiosities, Museum of Modern Art, New York, NY (2008), Darger-ism: Contemporary Artists and Henry Darger, American Folk Art Museum, New York, NY (2008), Political Nature, Whitney Museum of American Art, New York, NY (2005), Whitney Biennial, Whitney Museum of American Art, New York, NY (2002), Whitney Biennial, Whitney Museum of American Art, New York, NY (2000). 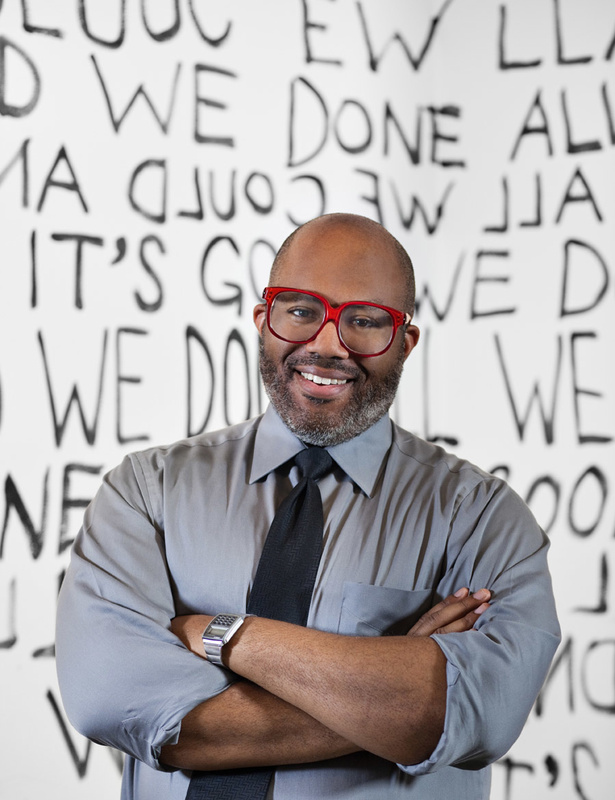 Hancock is the recipient of numerous awards including the Joan Mitchell Fellowship, Joyce Alexander Wein Award, Penny McCall Foundation Award, Artadia Foundation Award, Skowhegan Camille Hanks Cosby Fellowship and more. Hancock lives and works in Houston, TX. Lynn Goode is a well-known and beloved native Houston arts advocate and collector, who has been an integral part of the Houston and Marfa arts communities for over three decades. She has taken on many creative and supportive roles including gallery director, art dealer, entrepreneur, and even a social worker specializing in post-traumatic stress disorder, not to mention being the proud mother of two (now grown) sons, and grandmother to four grandchildren. Goode has brought a keen eye and impeccable taste to multi-faceted projects across Texas, the United States, and Mexico as she has had an exceptional talent for creating one of-a-kind entrepreneurial ventures within the arts and design realm that are always, without exception, ahead of convention. Her homes, projects, and businesses have been the subject of numerous books and articles from the likes of The New York Times, Architectural Record, and Town & Country Magazine. Goode lives in Highland Village with her husband Harrison Williams in a home filled with midcentury modern furniture and original art from her favorite local and national artists such as John Wesley, Aaron Parazette, Kelly Klaasmeyer, Josef Hoffmann, David Ellsworth, Roni Horn, Rachel Hecker, Ingrid Calame, John Waters, Mark Flood, James Surls, Terrell James, Stephen Greene, Rupert Dees, The Art Guys, Robert Rauschenberg, and Jean Claude Christo, among others. Currently, Goode is a dealer for midcentury modern furniture and home décor at Lynn Goode Vintage, a store she opened in March 2014 showcasing high-end furniture and decorative arts by the likes of Frank Lloyd Wright, Herman Miller, Adrian Pearsall, Charlotte Perriand, Mies van der Rohe, and Tommi Parzinger. Focusing on modern furniture from the 1950's through the 1980's, Goode carefully selects these pieces, their history and stories, and brings them back to life. Like many vintage and antiques store owners, the collecting endeavor first began with Goode’s own furniture collection with artists including George Nakashima, Raymond Loewy, and Hans Wegner. The store’s concept was eventually crystalized following a series of trips to Asheville, N.C., where Goode learned about the designs that came out of the defunct Black Mountain College, a center of creative art and design from the early 1930's through the late 1950's. Since growing up in Meyerland, Goode has lived across Texas and beyond. Goode studied art history and English at the University of St. Thomas. Young and fearless, she went to work as an intern for Betty Moody at Moody Gallery in 1987. "Betty was, and continues to be my role model, mentor and muse," says Goode. After learning enough to branch out on her own, she opened Lynn Goode Gallery in 1989, located in a building designed by Carlos Jimenez on Colquitt. 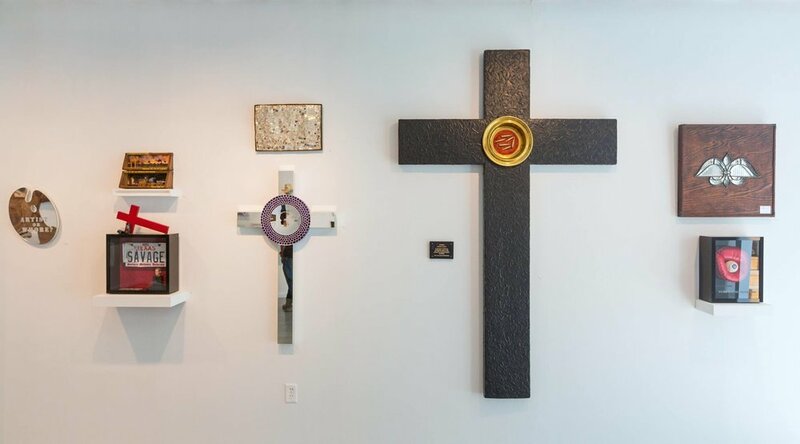 For a decade, the gallery enlivened the Houston art community - showcasing then-emerging artists like Mark Flood, Susie Rosmarin, Cesar Martinez, Benito Huerta, Mary McCleary, Charles Mary Kubricht, and Steve Brudniak - and Goode herself was at the center of the action. Her keen eye and determination to present compelling risk-taking contemporary art in a way that enhanced the gallery viewing experience, sparked a change in the way Houstonians looked at art. After being diagnosed with acute-onset multiple sclerosis in 1996, Goode sold the gallery and in 1997 moved to Marfa, TX, where she directed her focus into helping cultivate the local arts community. In 1999, she opened Marfa Book Company (MBCo), a popular bookstore, film, music and performance space. In addition, she co-found the Goode-Crowley Theater with her then-husband, Tim Crowley. Something about the quaint small town and its dry heat proved healing for her, both inside and out. "I fell in love with the landscape and the healing of it," she said of her first visit there. "I can say this now, 20 years later, I think I was trying to outrun illness." In 2008, Goode shifted gears dramatically, enrolling in a master's degree program in Clinical Social Work at Smith College in Northampton, Massachusetts. While earning her master’s degree she completed an internship at Bo's Place; a bereavement center in Houston, Texas, followed by an internship at the Micheal Debakey Veterans Administration Center in Houston, Texas, where she worked with veterans diagnosed with Posttraumatic Stress Disorder. In 2010, Goode returned to Houston and while working as a clinical social worker for three years, began a side career in vintage furniture and decorative arts. After debuting a hugely successful pop-up shop showcasing midcentury design in 2013 at a 4411 Montrose gallery space, Goode decided to open a permanent location on West Alabama Street in March 2014 under Lynn Goode Vintage. In 2013, Art League Houston established the Lifetime Achievement Award in the Visual Arts for artists whose career has spanned more than forty years, and who have made an outstanding contribution to the world of visual art in Texas and beyond. To date, three artists have been honored. Past honorees include Jesse Lott (2016), Forrest Prince (2015) and Kermit Oliver (2013).